Family Promise offers an opportunity for a truly unique congregational outreach. 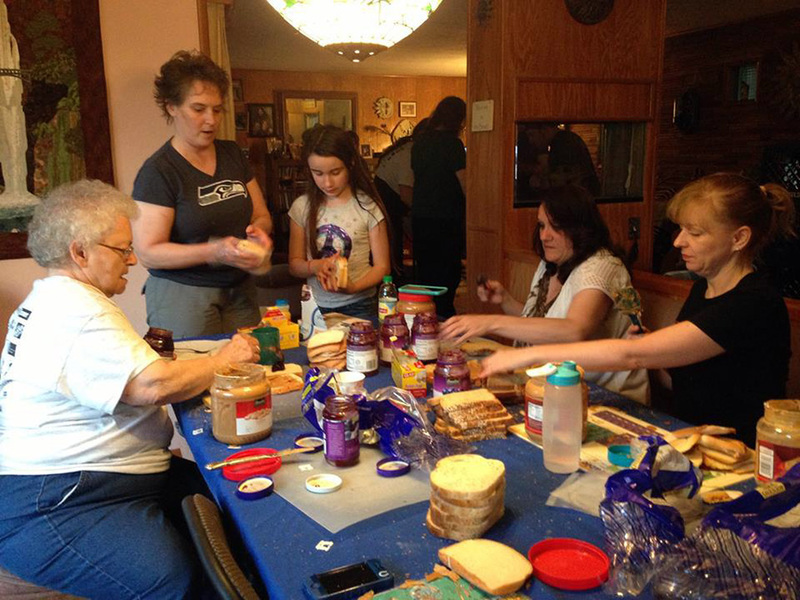 Volunteers of all ages work together within their own congregations, among many in the community, to help bring about a real change for families who have lost their homes. The network consists of 10-13 hosting congregations which provide space for typically 3 or 4 families (5 maximum) and no more than 14 individuals, mostly children, to stay for a week at a time. During the day, families are at the Day Center, where staff works with them on a plan to move to self-sufficiency. There is transportation provided between the Day Center and the congregations. Volunteers are the heart of the program and range from people cooking meals or moving beds to those sleeping overnight or playing games with children. A host congregation will host 4-5 weeks out of the year. Good communication. Talk about the program and make sure everyone understands the components. Answer questions and garner support before the vote is taken. Knowledge. People want to help homeless children and their families, but there are many misconceptions and fears that people will have, spoken or unspoken. Who? This is a program for families with children. Our primary concern is that we provide children and their families with stability and start them toward self-sufficiency. Safety? There is professional management and all families go through an intake process. Families with active substance abuse problems, untreated mental illness or domestic violence are not accepted into the program. Space? Classrooms, meeting rooms or a large space divided off into discreet areas. As a congregation hosts only 4-5 times/year, rearranging church activities happens infrequently. Insurance? This is outreach involving families, and no different than other programs run at your congregation. This is a hospitality program, not a shelter. Money? You are responsible for all meals, linens (not beds), and a few personal items. Volunteers usually provide these items but if not, budget approximately $200 per host week.